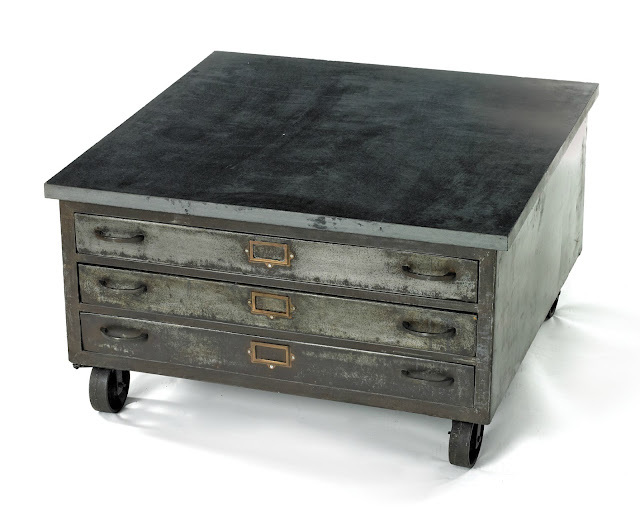 Rockwell Table from GO HOME﻿ Ltd. 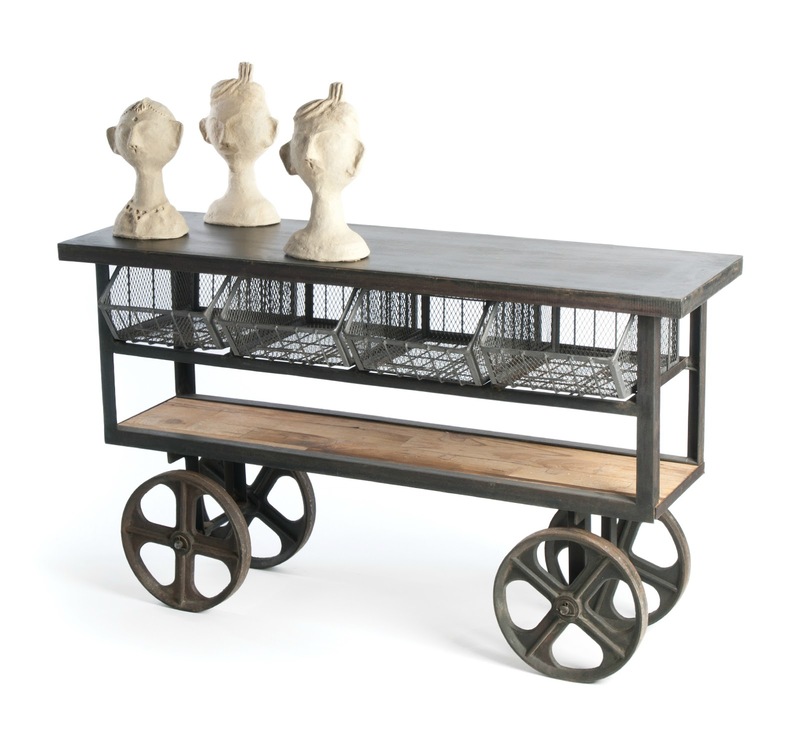 I'm lovin' those big mechanized steel wheels on the Mercato industrial cart. 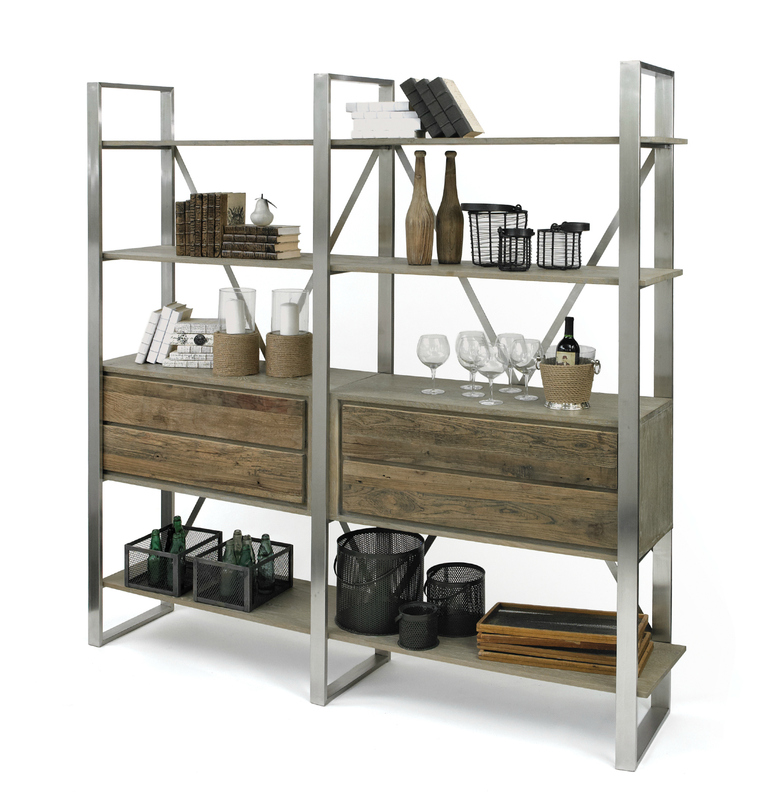 The 61.5 inch long cart mixes a single natural wood plank with steel open front mesh drawers. Great console for an urban entry-way! Available for purchase on my Project Décor shop. 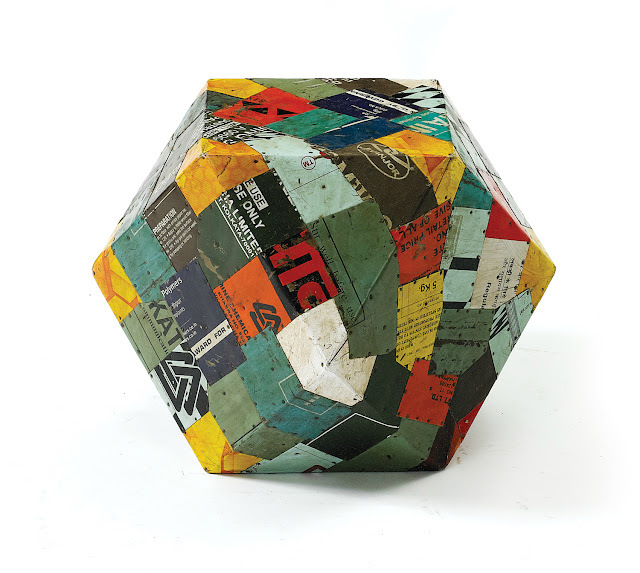 An absolute way to infuse funk and a pop of color into your industrial mod space is with the 19" dia Rubix stool...a patchwork of recycled tin patches. Stack them, spread them for fun seating or just admire them as art! Available for purchase on my Project Décor shop. The Colgan bookcase is a bold and masculine focal piece for that man-cave. Its vintage style wood & steel bookshelves are constructed of natural wood and a steel framed finish. 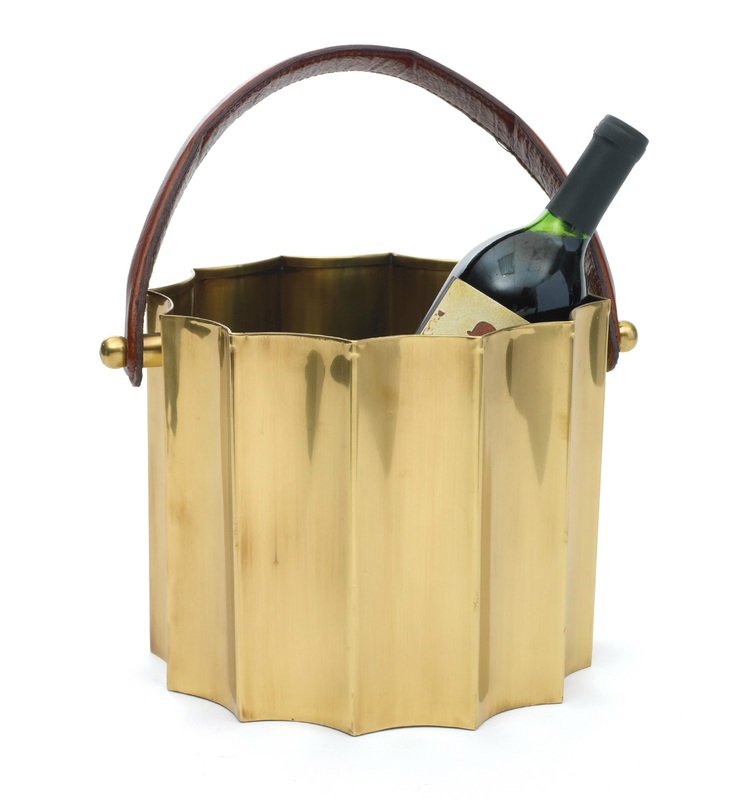 Celebrate with your friends with this chic Scalloped Chiller... its polished brass finish will add a splash of bling to your dinner party. 9.5" dia x 8" high. The Balance Desk Lamp is an industrious steel beauty perfect for desk illumination. 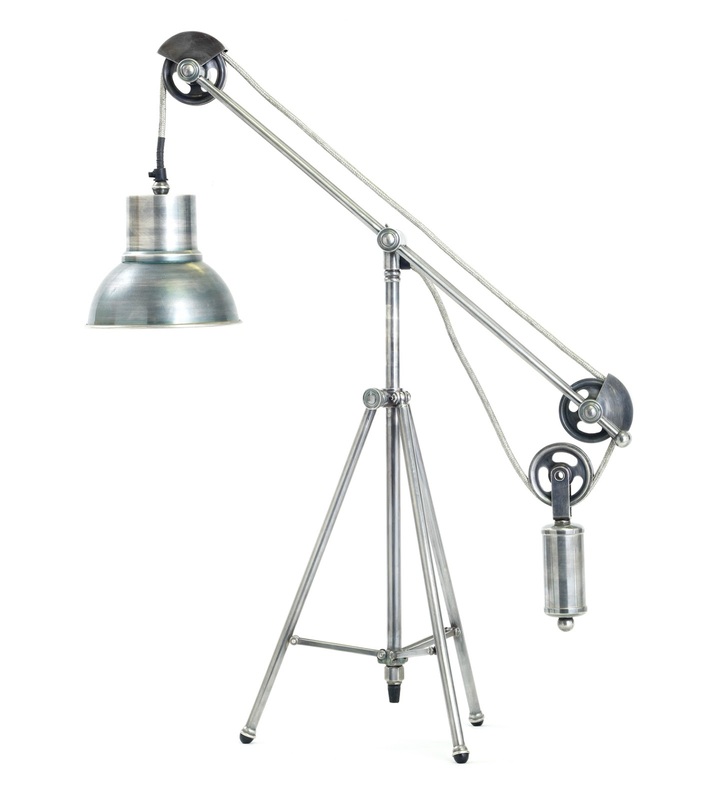 Love the tripod base and accentuated pulley-style design!! Available for purchase on my Project Décor shop. To check out some more great finds on GO HOME Ltd., see their WEBSITE, BLOG, FACEBOOK, and TWITTER. LIKE MoD Design Guru on FACEBOOK to get your daily dose of design.